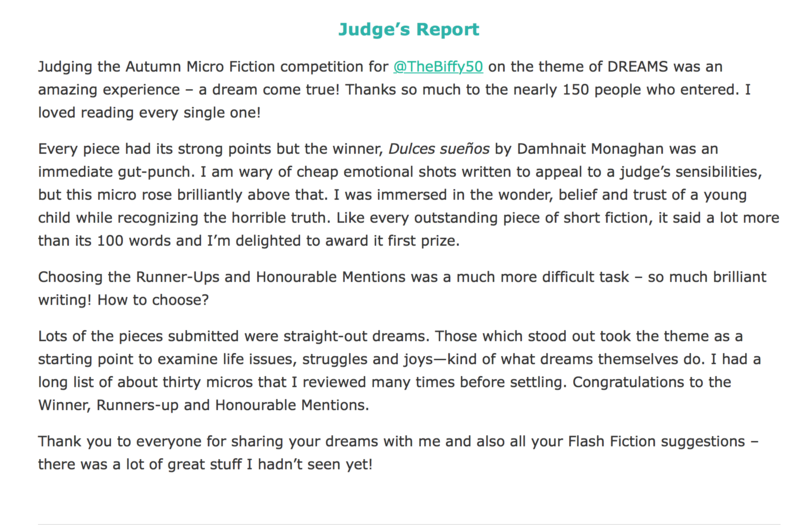 I’m thrilled to share the news that my story, I Wonder about the Gun, has won HIGHLY COMMENDED in The Short Story microfiction competition by TSS Publishing, home to the Cambridge Short Story Prize. Squeals of delight this end. I discovered when I received congratulations from fellow authors on Twitter. The story hasn’t been published on the site but you can read it by signing up to the mailing list. In other news, there is a fabulous new Literary Magazine, Barren Magazine, which has just published it’s third issue. The stories are deep, rich, often painful. In Vain, by Aaron Housholder, Editor’s pic in Essays, is one of the single most powerful stories I have ever read.